At the end of November I stood on the scale, tears running down my face, and mentally gave up on everything. I was done working out, done trying to work on my diet and completely dejected. So I quit. I quit the gym, closed out all of my calorie counting apps and just… quit. I started eating what I wanted and stopped worrying. It was great. Until I stood on the scale at the end of December, tears streaming down my face, mad at myself for quitting, the evidence of what I had done mocking me from the large, digital display. Getting my health back on track for myself, my children and my lifestyle is not something I have to do to get into a cute skirt. It is something I have to do to be here on this Earth. To live the life I want to live. 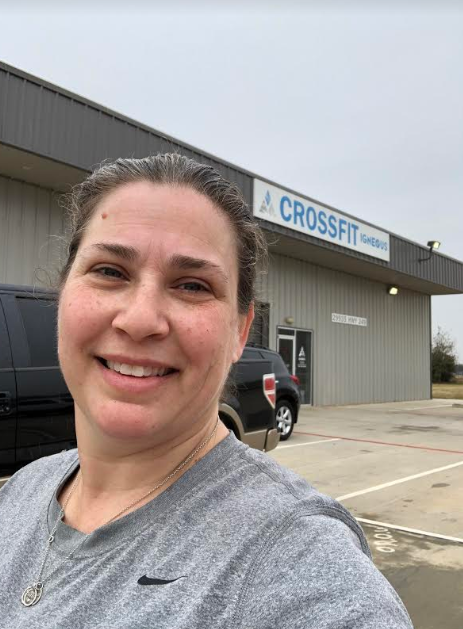 So, here I am, having gone back to the CrossFit gym this morning, deep into week 2 of making better choices that are starting to make that digital number shrink. I am determined to make my 2019 Resolution of getting it right this time happen. I am not a quitter but I think we have all been there. We work out, we ‘try’ to make good decisions and then we feel like it is not working. We watch people around us whose weight seems to be dropping off with way less effort than we are putting in. It’s discouraging but it is not a reason to give up, as I am learning. After doing a lot of research, swallowing my pride and heading back to the gym, I am feeling much more sure about what I am doing to be here for my children and their children. When you have failed before these tips to get your health back on track can really help! BONUS: Enter to WIN a Gym Membership! We, as people, generally do not get enough protein, according to my research. I know I don’t. So, instead of stuffing myself with bland chicken and 5 eggs a day – and losing interest quickly – I went on the hunt for protein I would love. 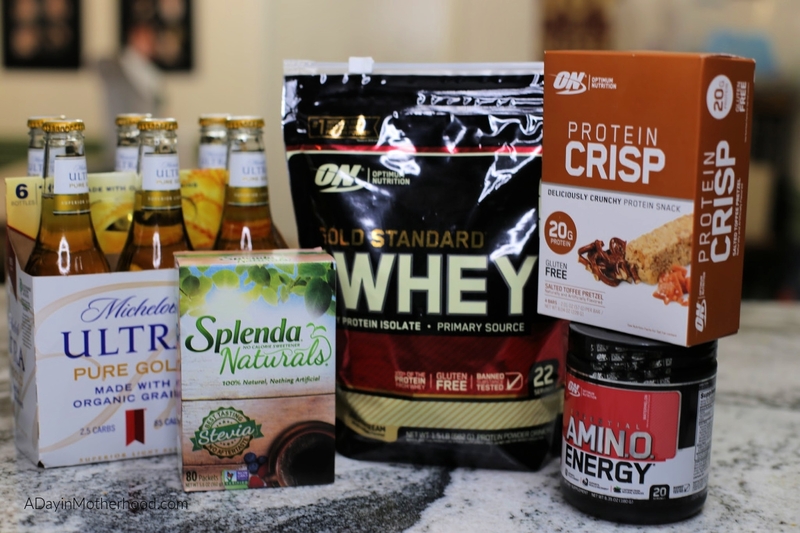 I found Optimum Nutrition that you can purchase at Walmart and their line of products. I really like having the Amino Energy drink about 30 minutes before I head to the gym. It helps support focus and energy and helps my muscles recover. You can adjust how much you drink based on the energy level you want. 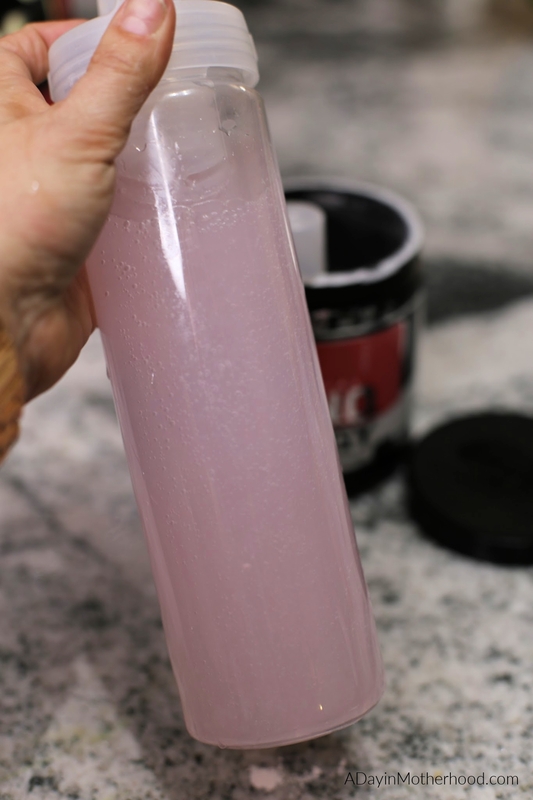 The bright, fruity flavor is easy to mix with water and contains caffeine from natural sources. I notice a difference to my energy level throughout my workouts when I take it. 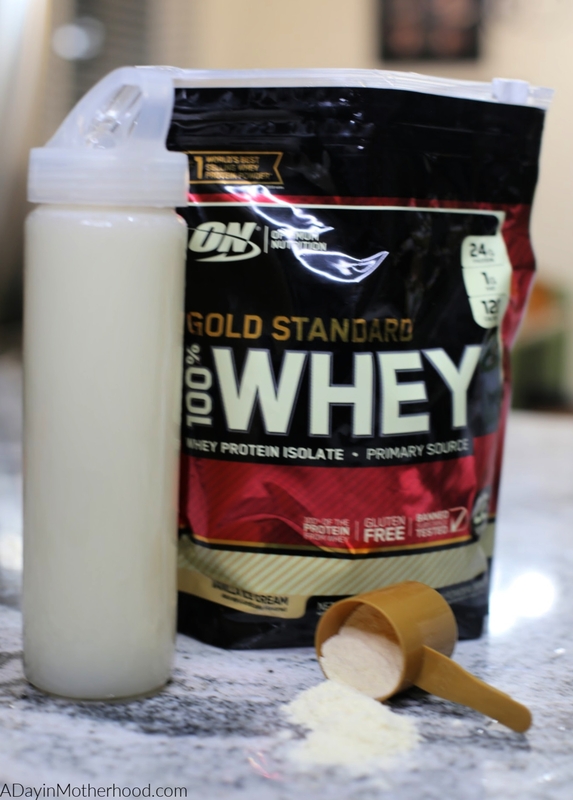 Optimum Nutrition’s Gold Standard Whey is a staple for me. 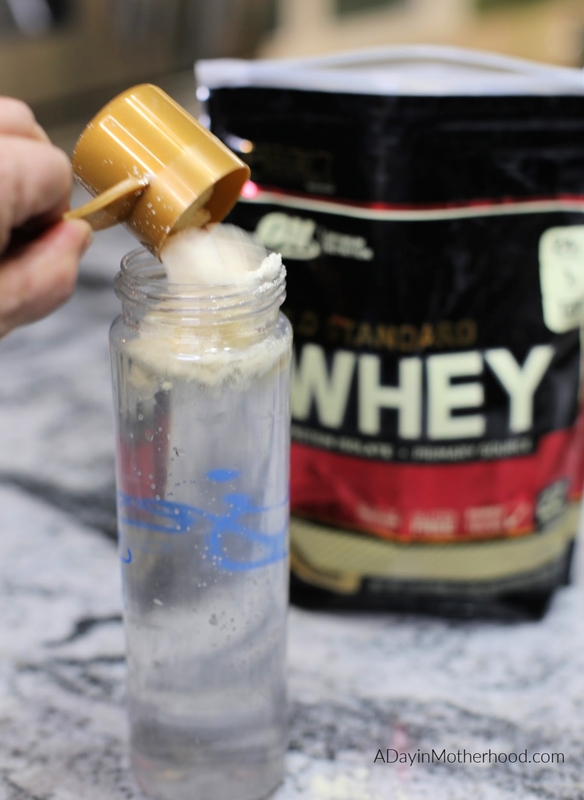 I have tried protein drinks in the past and bore of them easily. A lot taste grainy or make me feel too full and – ahem – gassy – after I take them. But this one does not seem to do that to me. With 24g of protein and whey protein isolate as the primary source, many of the carbs and fat are isolated out or removed. This leaves a 120 calorie, gluten free drink that actually tastes smooth and delicious. I put it over ice in a shaker and enjoy! I take it about an hour after working out and I feel like it really helps my protein intake. Snacking is my weakness. One of the ‘fails’ I have had is snacking all day long with no real meals. Sure, smaller meals throughout the day are great, but snacking constantly can wreak havoc on my metabolism. 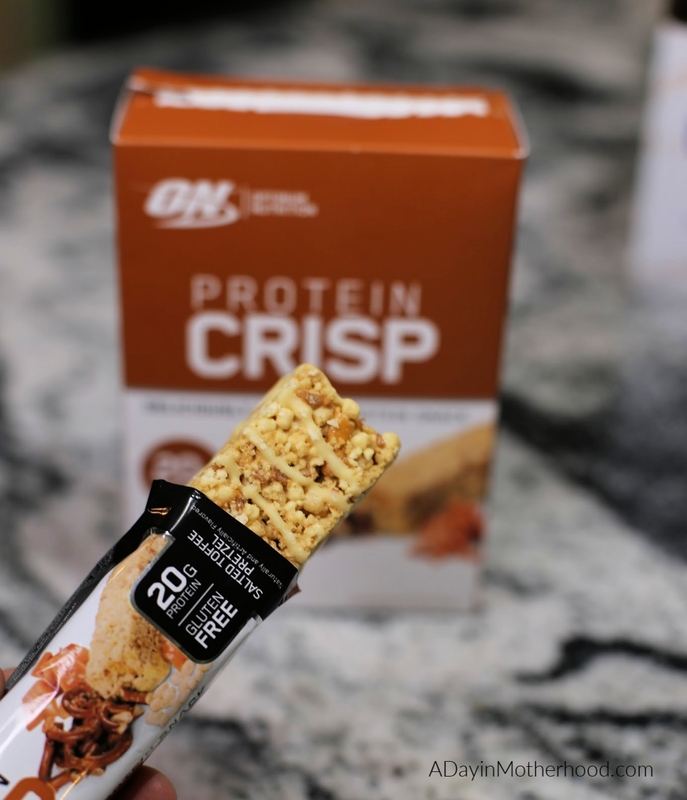 So when I found Optimum Nutrition’s Protein Crisps I found a solution. Not only do they help me get 20 grams more of protein in a day but they satisfy that snacking habit I have gotten into! Sugar Sugar Sugar. It is everywhere and we are trained to want it and to want it now. It is my weakness, I can admit. ‘I worked out today, I can have a pint of ice cream.‘ Well… no… I can’t. But I can find a great substitute that won’t derail me this time. I have used Splenda Naturals for years and in recipes but it was not until recently that I realized it could really, really help me curb my sugar habits. I can use it in everything from my morning cup of coffee to my favorite sweet nuts recipe. In fact, using Splenda Naturals I think I only enhanced the flavor! 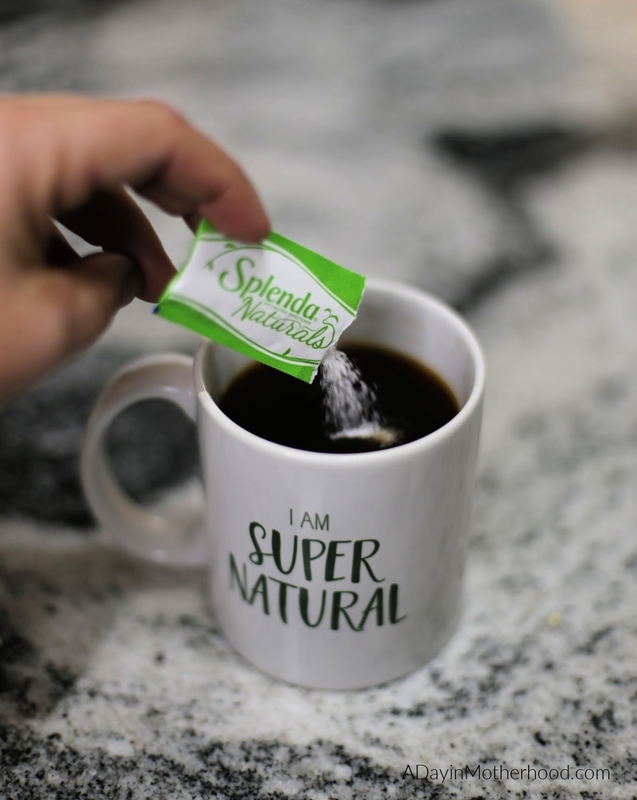 Splenda Naturals Stevia is a great tasting 100% natural stevia product that I really like using! Try these Sweet and Crunchy Nuts to curb your crunchy and sweet cravings! 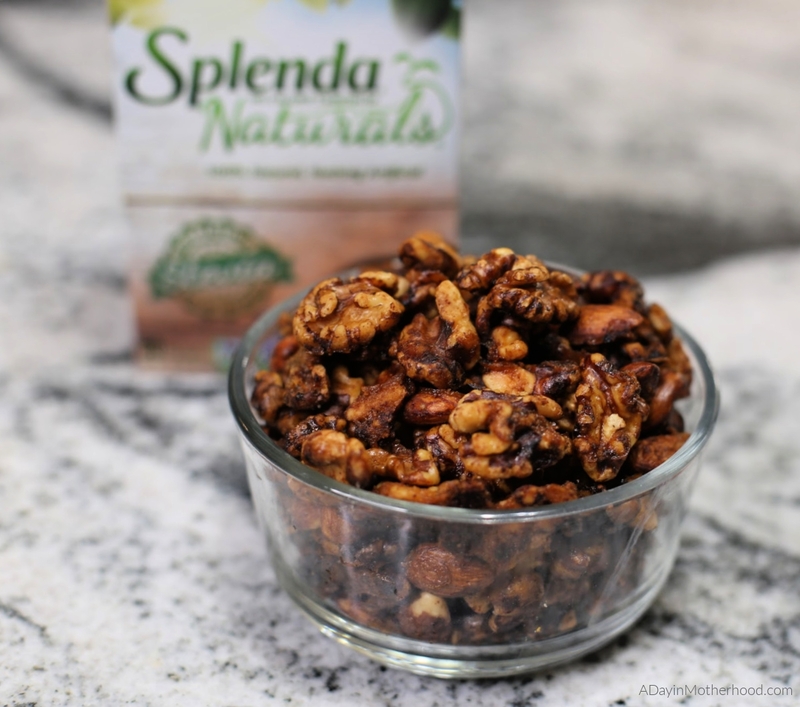 Made with Splenda Naturals you can snack on the recommended serving size guilt free! I have them in an air tight container! These Sweet and Crunchy Nuts are delicious! Preheat oven to 300°F. Spray a 15x10x1-inch pan with cooking spray.In a mixing bowl, combine pecans, walnuts and almonds. Add egg whites, tossing to coat.In a separate bowl, combine SPLENDA®Sweetener, cinnamon and salt. Sprinkle over nuts, tossing to coat. Spread mixture evenly in prepared pan. Bake for 30-40 minutes or until nuts are toasted, stirring every 10 minutes. Cool on waxed paper. Store in an airtight container. I don’t drink a lot but when I do I always know that those empty calories are messing with my ability to stay on track. A glass of wine here, a beer or two there and you are drinking calories that make it harder to make your gym time and healthier eating work for you. It isn’t fair, I know. But it is the reality of things. 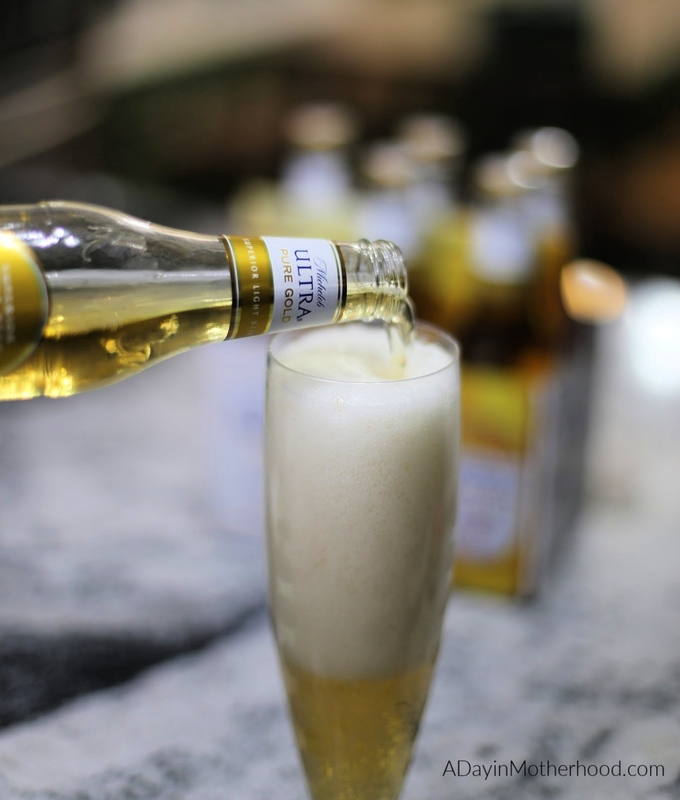 Michelob ULTRA Pure Gold is a crisp, clean and refreshing beer that carries only 85 calories per bottle. With only 2.5 carbs Pure Gold is triple filtered and brewed free of artificial colors and flavors. Even I can work that off in no time at the gym. I actually really like the light but golden flavor and am glad that this beer is out there so that I can participate in fun events too without ruining my whole day with a drink. Enjoy responsibly! Like I said before, working out helps keep me on track by reminding me what I am working for! Don’t have a membership? From December 28, 2018 – February 9, 2019, you can enter to win a gym membership valued at $599! All of the products I mentioned in this post are available on Walmart shelves. They want to help you keep your resolutions too! What are you doing to get back on track?